Earning a place among the list of the tallest buildings on earth, in particular the coveted number one spot, has always been highly desirable and hotly contested. Completing a skyscraper that ranks among the world’s tallest is often seen as an indication of architectural drive and daring, as well as a statement of intent by the city or the country concerned, reflecting a spirit of ambition and a readiness to take on the world. Skyscrapers can also become iconic parts of the skyline and stand as a visual representation of their home city. 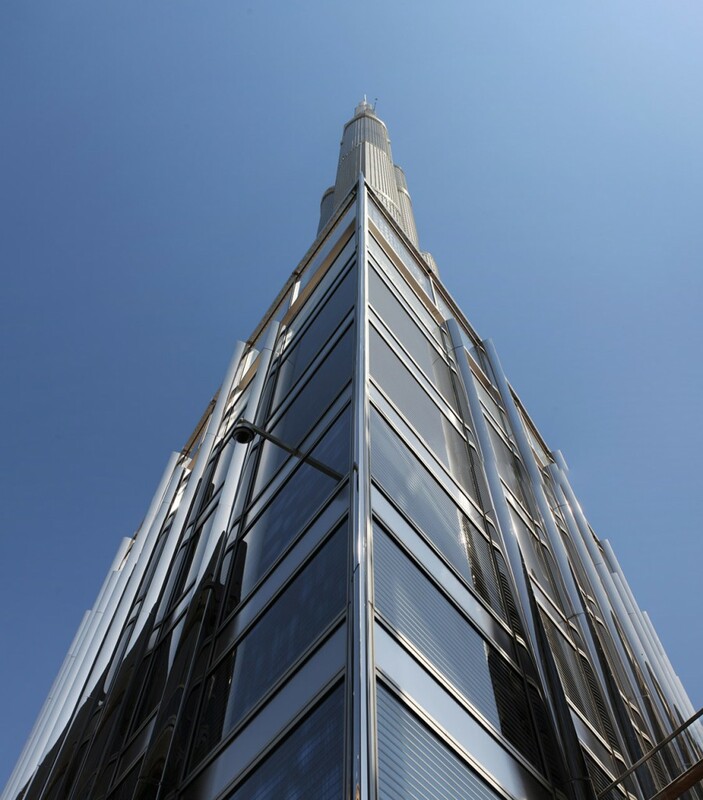 With such great civic pride and significance placed on the world’s tallest buildings, it is clear how vital an effective BMU system and practical facade access is in maintaining these important and highly-revered landmarks. As a global leader in the industry and one of the only true end-to-end providers of building access solutions, CoxGomyl are called on time and again to provide facade access systems which are designed and manufactured to match the ambition behind the world’s tallest buildings. In fact, CoxGomyl have been entrusted with delivering the facade access solutions for ten of the 20 tallest buildings across the globe, including the current title holder of the world’s tallest building. Famous for its range of architectural influences, Maria 101 stands out from the crowd in the tightly packed Dubai Marina at 426 metres, even in a city full of supertall structures. This supertall building is celebrated for its triangular base which supports a slender, curving structure. The requirements for the BMU system reflected the grand scale of the building and it includes a high-capacity hoist for glass replacement work which is twice that called for in most projects. This building is intended to symbolise the emergence of Mumbai as a key world city and help establish an iconic skyline with a tower twice the height of the typical high-rise residential buildings in Mumbai. As well as its remarkable height, the main tower also features a unique facade comprised of offset modular panels which create a distinctive texture designed to catch the light and reflect the city around it. 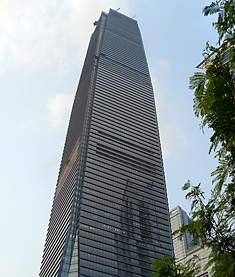 The tallest building in Hong Kong, the ICC is famous not only for its scale but also for its iconic ‘dragon tail’ feature at the base, all of which required an integrated access solution to provide full coverage. Again, this building stands as a symbol of commerce and culture that announces the city’s emergence as a global capital. In addition to the height of the tower, the distinctive design featuring two sweeping arcs and a square prism represent the ancient Chinese symbols of heaven and earth. As well as taking its place among the tallest buildings in the world, Taipei 101 also leads the way for sustainable skyscraper development, having achieved an LEED Platinum certification for Operations and Maintenance which is unusual for a tower of this size and complexity. This mixed-use development was conceived with smaller floor plans at the higher levels to suit a variety of needs, but instead of tapering the structure steps back at four angled parapets. These four setbacks create space for verdant sky terraces and dramatic skylights. As part of the emerging Tianjin Economic-Technological Development Area, this huge tower is intended to provide an anchor for development in the wider area and will also serve as an inspiration for what can be achieved as the region drives forward. The current title-holder of tallest building in the world, this breathtaking construction beats the second-placed tower by nearly 200 metres. It combines traditional cultural influences with cutting-edge technologies, and has quickly become a global icon, a model for future urban centres and an encouraging achievement in the global movement towards compact, liveable urban areas. More than any other provider of BMU systems, CoxGomyl has been selected as the preferred facade access partner by the architects and developers breaking records for the tallest buildings in the world. Contact us to find out why and how we can help with your project.